Parikshit Suryavanshi: How did a Medical Doctor become a Messiah of the Great Indian Bustard? The Story of Dr Pramod Patil. How did a Medical Doctor become a Messiah of the Great Indian Bustard? The Story of Dr Pramod Patil. 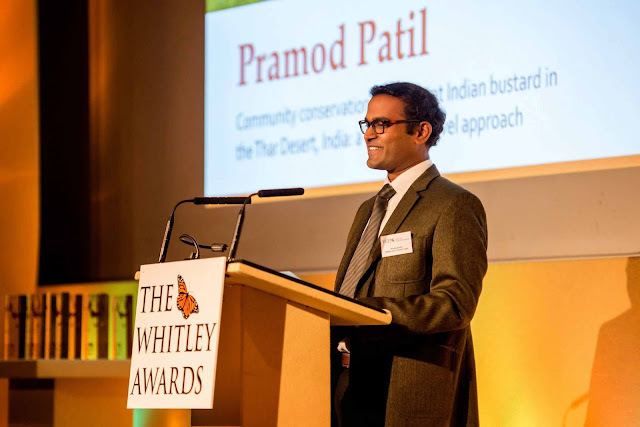 Dr.Pramod Patil was recently awarded the Whitley Award, a prestigious international nature conservation prize worth £35,000 in project funding, at a ceremony at the Royal Geographical Society, London, in honour of his work to protect the iconic Great Indian Bustard. 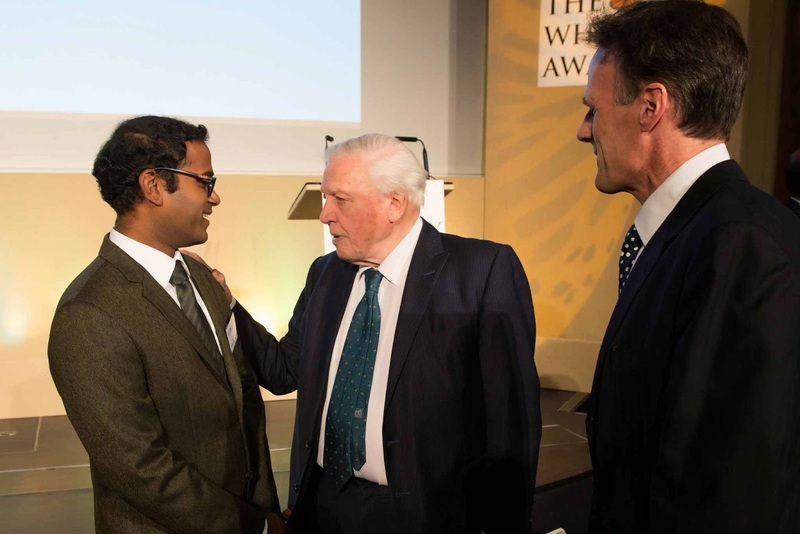 The Whitley award is given to conservationists from the developing countries to support projects based on science and community involvement. 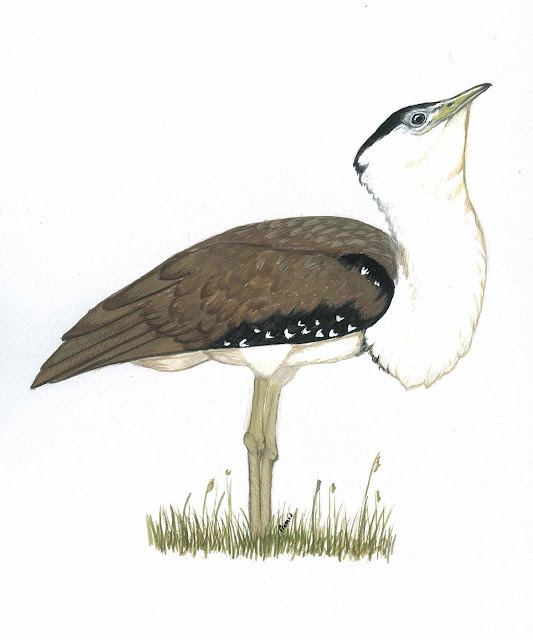 The Great Indian Bustard (Ardeotis nigriceps) once flourished across the Indian sub-continent but today fewer than 250 individuals remain in the most densely human-populated desert in the world. Here he shares why he chose a different path, his love for the birds and his amazing experiences. I was interested in birds as a child and even participated in a bird watching camp organized by WWF-India, however there was a gap after that. While studying medicine in Sholapur a friend told me about a huge Ostrich like bird in the Sholapur grasslands. I was surprised and very excited. We travelled a long distance to see the bird, but after spending a long disappointing day, just as we were thinking of going back, all of a sudden a large bird landed in a grassland ahead of us. To our greatest surprise it was the stunning Great Indian Bustard! We stood spell bound as it walked a magnificent walk that Dr.Salim Ali used to call the ‘Marshal’s walk’. It started drizzling and the bird started a dance display to attract his mate. I fell in love with the bird, and even today that picture is alive before my eyes. I started visiting the sanctuary regularly, studying the bird, drawing, talking to local people, volunteering for a local NGO Nisarg, my journey from a casual birder to a conservationist began in earnest. 2. How do your family and friends see your chosen career path? They see it with lot of curiosity. They are happy with my chosen path and they support me in my work. There is a fallacy about ‘career’ that people suffer all their life. The fallacy is that if you invest a large amount of time or money in something you should continue to do it even if you don’t like it. But I think the important thing is to do what you like and take the courageous decision to do it. 3. 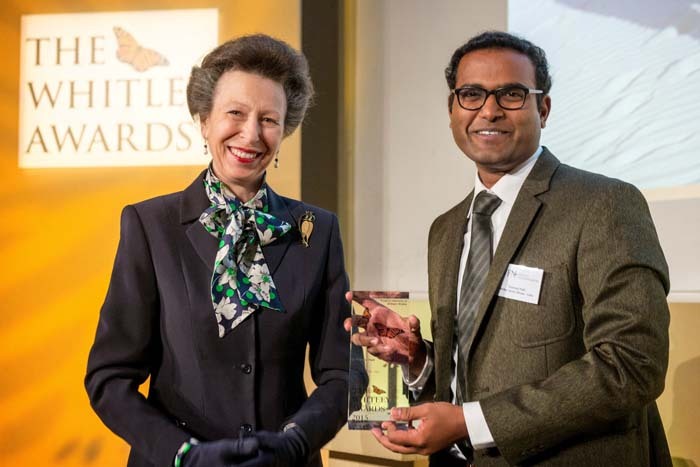 Congratulations on winning the prestigious Whitley award. How did you feel when you heard that you have been chosen for the ‘Green Oscar’? What does winning this award signify for you and the work you are doing? My first feeling was that of the sense of responsibility that I will now have to fulfill and the pressure of expectations I will have to face. It was followed by happiness, lots of happiness of course! This award is significant in several ways. It gives recognition to your work at the global level. It altogether changes people’s perspective of yourself and your work. Several institution and people come forward to support your work. Second thing, because of such awards you come in contact with several international institutions and experts working in this field. You become a part of their network. This is a huge benefit. You get an understanding of the global level. These great organizations are working worldwide. Being a part of their network you learn their method of working, their attitude, their ideology. You understand how to apply global solutions to local problems. When you personally meet the stalwarts of your field it has very deep effect on you. Though I was in contact with them for several years meeting them in person is exceptional. Thus this award brings you great support from all walks of life but also increases your responsibility many folds. 4. How does your medical training help in the field of conservation? I have realized that medical education helps conservation in many ways. Being a doctor people give you lot of respect, they allow you to enter their lives, they discuss with you many medical and personal problems. I help them through counseling and proper guidance. Without medical training it would have been difficult to gain the confidence of the local people and other stakeholders. 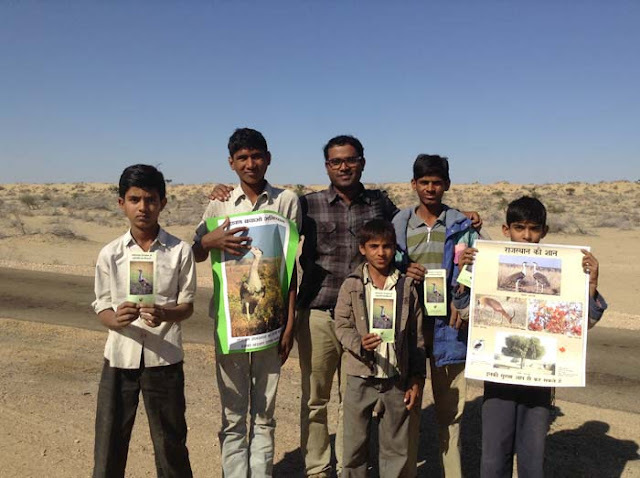 My medical education helped me in the most constructive ways in the efforts of bustard conservation. In medical science we are taught community medicine, a doctor is community centric by default. 5. 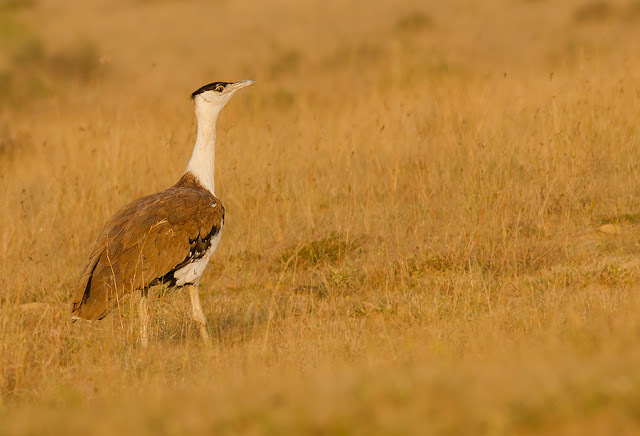 How did you decide to work on Great Indian Bustard? I had fallen in love with the bird at first sight. I wanted to know more about it.Dr.Asad Rahmani of the Bombay Natural History Society (BNHS) warmly opened the BNHS library for me. I continued interacting with local people, local experts, NGOs, conservationists, I started working with the forest department, with Mr.Parihar, YLP Rao, NK Rao, forest guards all of who were very supportive. One name I would particularly like to mention is that of Mr.Bhagwat Mhaske, a forest guide at the Great Indian Bustard Sanctuary, Sholapur. He opened the treasure trove of information he had gathered over 30 years of observing the bird’s behavior for me. He was my on-field Guru and I feel especially blessed to have met him. 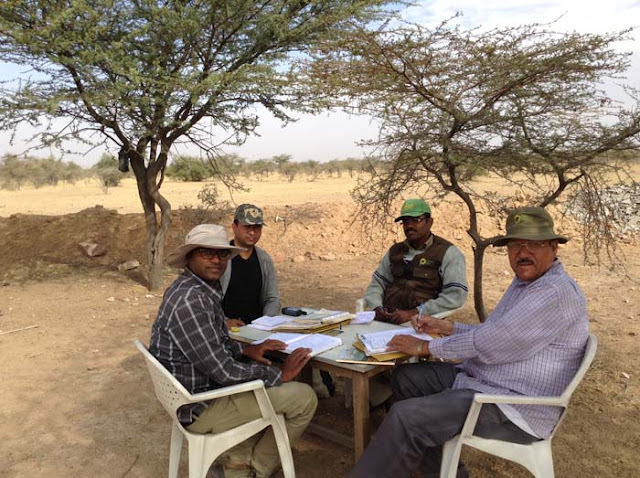 Over time, working together with many people, many institutions helped, we were able to put policies in place for the conservation of Great Indian Bustard. 6. What are the challenges you are facing while working on the conservation of Great Indian Bustard? The greatest challenge is the declining support of the local people. Local people’s involvement in conservation is of utmost importance but the same is disappearing. They don’t love the bird as much as they used to. There are several reasons behind this. They have lost confidence in the system. Winning their trust, getting them involved in conservation is the biggest challenge before us. Other challenges are loss of habitat and poaching. 7. Can we save the Bustard? Yes! We can definitely save the bustards. There are several examples worldwide in which the last 30 or 50 birds or even only a couple of birds were remaining and they were saved and successfully brought back from sure extinction. Only one person, one institution or one award cannot do it. We need joint efforts of all stakeholders. I would say we can certainly save a species if our willpower is strong enough and our efforts are sincere enough. 8. Please share with us some of the memorable experiences you had while working in this field. I was in the Desert National Park, Rajasthan. Local people hold a grudge against the Great Indian Bustard as it is perceived to have stopped their development. One day while we were hanging out we saw a shepherd grazing his sheep. We deliberately asked him provocative questions like, “You don’t like Great Indian Bustards and this sanctuary. You would be happy to remove its sanctuary status, wouldn’t you?”To our surprise he said, “You are fools, you don’t understand. Thanks to the Godavan, the land is protected as a sanctuary and since it is protected we are able to graze our sheep, our sheep are our livelihood. If the status of the sanctuary is removed, this land will be used for other developmental activities and destroy the land and our livelihoods”. He loved the ‘Godavan’, bustards are called ‘Godavan’ locally and he explained how grateful he was to have this land protected by law. This was the approach we need to work on to get the support of the local people. I felt elevated after listening to this old, wise shepherd. There are many such memories with people and wildlife. 9. Your sketches are superb. How did you develop an interest for this beautiful art? Drawing was my favourite subject during school. Its credit goes to my school teacher Kushe sir. Only when I started bird watching I realized that going into the field, sitting at one place observing birds, that drawing birds became my hobby. The Great Indian Bustard is a magnificent bird, it displays in a very prolific manner, its postures are very unique, it is a very good subject for sketching. That’s how I got involved in this sketching business. I’ve drawn thousands of sketches of bustards and other grassland birds. 10. What message would you like to give to our readers? I think people are very important in life. Whatever little I could achieve is because of different people who guided me, supported me and helped me at different stages throughout my life. Your true wealth is the people around you. No matter how many awards you get, how famous you become you have to live with people. You are going to need them.